LEESBURG, Va. — House Democrats insisted on Thursday that they remained optimistic about potential compromises with the Trump administration on infrastructure, prescription drugs prices and immigration, even as they criticized the president’s prospective Federal Reserve Board picks and his recent comments about migrants and asylum seekers. The balance that Speaker Nancy Pelosi, her deputies and new Democratic members sought to strike during an annual member retreat underscored the contradictions of their approach to divided government. Even as they have railed against the president in pushing to expand their agenda and diverse majority, the Democrats still have clung to the possibility of compromise with President Trump and Senate Republicans to deliver some of their campaign promises. Much of the agenda that Democrats worked to highlight at the three-day conference at the Lansdowne Resort and Spa in suburban Virginia — “putting check marks next to the to-do list,” as Representative Veronica Escobar, Democrat of Texas, put it — has yet to reach the Senate floor. And it is not likely to, with Senator Mitch McConnell, Republican of Kentucky and the majority leader, in control. The first 100 days of the Democrats’ majority in the House included a record-long government shutdown and involved partisan squabbling, including over tougher administration oversight and the scope of the party’s priorities. The retreat also offered a chance for lawmakers to regroup after multiple internal fissures that played out publicly, including a vote delay on a two-year budget deal and efforts by the House Democratic campaign wing to shut down party challengers. Several sessions at the conference aimed to address what lawmakers described as “kitchen table issues” — maintaining economic growth, lowering drug prices and working toward what Ms. Pelosi said could be at least a $1 trillion infrastructure package. “I’m not giving up on the president,” Ms. Pelosi said in reference to immigration overhaul, even as she bashed Mr. Trump’s recent comments that the country was “full” and could not accept any more migrants. But senior Democrats did not hold back from criticizing the president or the recent upheaval in his administration. “With stiff competition, these two appointments to the Fed are the worst, ill-suited candidates the president could have come up with,” Ms. Pelosi told reporters at the retreat. Mr. Jeffries called the potential Fed picks an embarrassment. “It’s not clear to me if that’s reality or a ‘Saturday Night Live’ skit,” he said. 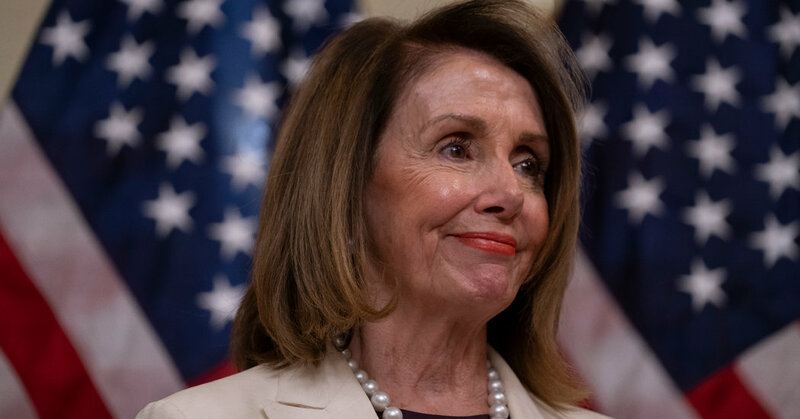 By contrast, Ms. Pelosi praised Mr. Trump’s handpicked Fed chairman, Jerome H. Powell, and his independence in the face of repeated criticism from the president. He spoke to House Democrats later Thursday in a closed-door session on economic issues, a speech Ms. Pelosi said was not intended to be political. On Wednesday, Representative Steny H. Hoyer of Maryland, the majority leader, had argued that the decision against voting on a budget caps deal this week was not a blow to the Democratic agenda. The delay came after objections from the Congressional Progressive Caucus and fiscally conservative Democrats. “Very frankly, we wouldn’t have lost any vote this week if we wanted to win,” Mr. Hoyer said. Lexington had 12 Hepatitis A cases in October and now 34 total. November 1, 2018 Comments Off on Lexington had 12 Hepatitis A cases in October and now 34 total. Netflix’s 3Q subscriber growth gets rave reviews on Wall St.
October 16, 2018 Comments Off on Netflix’s 3Q subscriber growth gets rave reviews on Wall St.